Cub Foods: $1.93 for 4 12-Packs of Diet Mountain Dew Ultraviolet! This week at Cub Foods, Pepsi products are on sale 4/$11 with the in-ad coupon. I found out while at the store that Diet Mountain Dew Ultraviolet is on sale for just $1.99 a 12 pack! 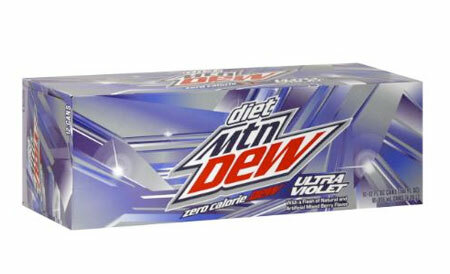 Here’s how you can get 4 12-packs of Diet Mountain Dew Ultraviolet for just $1.93! Final price: $1.93 for 4 12-packs! Hurry on over to Cub, I don’t know how long this awesome deal will be around! Can you still get this stuff on this website? Please I really want to buy this and it looks really good. I dont know where the heck was I when this came out. I want this because it sounds so good and I have a mountain dew collection and I cant have my complete set of diet mountain dew. Please I want to buy this stuff. If you have any information tell me please. Thank you and go ultraviolet! P.S. I did not try this stuff and I tried looking for it on ebay and thiers nothing, and everthing else. Please get ultraviolet for me. Thank you.